Whether you’ve recently purchased a brand new home or you’re looking to take better care of a very old one, there are few things that are less devastating to fix than a burst pipe or sewer leak. Learn how to check through the pipes in your own home and the questions you should ask in order to prevent these things from happening at all. Your home will be safer and you and your family will be able to live without worry of sudden water line repair. Locate the pipes, where they run through the house, and how they connect. This is the first step before you begin checking anything and it’s a good idea, if you’re purchasing a house, to also inquire as to when the pipes were put in and if they have ever been replaced. With this information, you’ll know right away if there are any problem areas concerning water pressure, back-flow, or old and rusty pipes and connections. Learn how the sewer system works in your home. 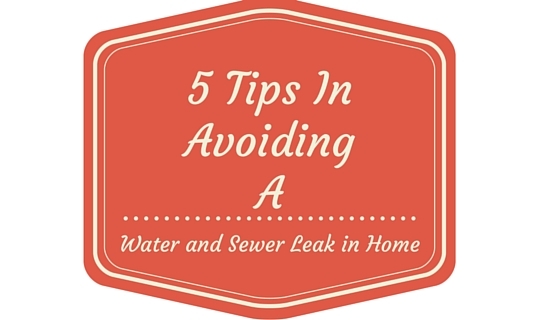 The best way to avoid a sewer leak is to learn everything about how the sewer system in your home works and when was the last time it was pumped. Inquire with the local sewer leak specialists in town to find out when you should have your system pumped and how it works. If you’re experiencing a trenchless sewer leak that you couldn’t prevent or considering replacing any systems, make sure you know the building codes for your town. Inquire with the Dallas/Fort Worth or Houston city officials at your local town hall to learn about what the codes are and what you need to be aware of. A water line repair is not limited to the pipes that carry water to the sinks, bathtubs, showers, and toilets in your home. There are also water lines hooked up to the refrigerator, the washing machine, dishwasher, and some other appliances. 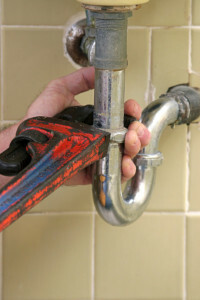 Check anything that is hooked up to a water or gas line on a regular basis for leaks, weak spots, or any damage to connections themselves. You can use the calendar on your computer or one hanging on your wall to keep track of when you should be checking to prevent a sewer leak or water line repair. Set reminders that let you know when you should do an assessment of specific problem areas of the pipe system and when the septic tank needs maintenance, even if it’s years away. By setting reminders, you’ll never have to worry if this is the year you need to replace pipes or pump the septic tank and you can save money and time accordingly. When you move into your new (or old) home, get in touch with our local Accurate Leak specialist or call for a visit to have your pipes checked in your home. Initiate conversation early and be friendly with the people that can help you keep your home a safe and efficient place to live. You’ll never have to worry about a sewer leakage or water repair again.